Tasia Da Costa Quelhas and Josué Toho are two of 24 participants in the 2018 edition of the Certificate in Law and Regulation of Inclusive Finance (CIF), a programme they described as a “perfect fit” for their work in this field in Mozambique and Benin. 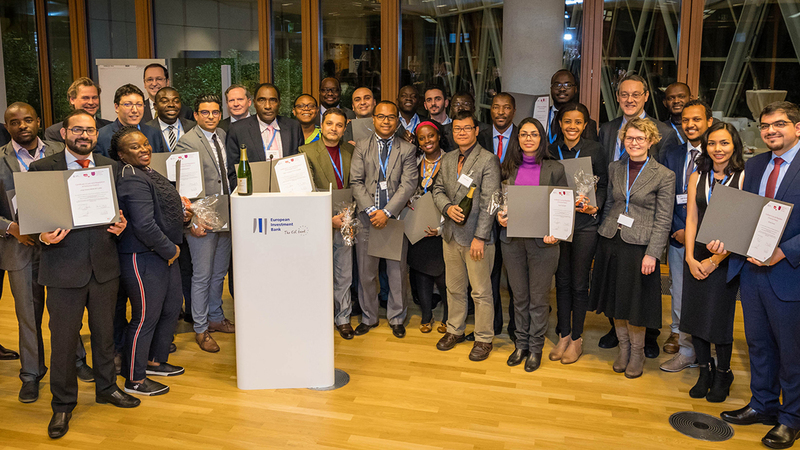 The Certificate is organised the University of Luxembourg’s Faculty of Law, Economics and Finance in cooperation with Luxembourg microfinance NGO “Appui au développment autonome” (ADA) and the EIB Institute. Hosted over two weeks, the Certificate offered classes on regulatory supervision, law and ethics, investment vehicles and banking law, enabling an exchange between scholars, regulators and financial intermediaries, facilitating academic and non-academic cooperation. EIB Group staff taught courses on sustainable finance, microfinance at the EIB, European microfinance and social enterprises at the EIF. “Coming from the commercial side, it was very interesting for me to be in a room with so many regulators”, said Ms Da Costa Quelhas who works in compliance at M-Pesa, a mobile phone-based money transfer, financing and microfinancing service in Mozambique. “Mobile money is a relatively new development. I meet a lot of regulators and this programme has helped me see things from a different perspective”, she added, hoping the Mozambique regulator will attend in future to even further enhance the collaboration. For Mr Toho, who serves as an advisor to the Benin government on an inclusive finance strategy, the programme delivered important “input on law, regulation – all different aspects of financial inclusion”. “Coming from the regulatory side, it was good to hear how people are doing on the ground, what might be the next steps and keeping in touch with reality”, he said.The CIF has also heightened the participants’ knowledge of Luxembourg as an actor in the inclusive finance field. “It’s exceeded my expectations”, concluded Mr Toho. On 25 January the cohort of 24 students from 21 non-EU countries successfully completed the CIF, with a reception hosted at the EIB.